At last the GENUINE solution! I am really enjoying this Course as part of my spiritual journey and my quest to allow my body freedom forever from compulsive dieting and overeating. I have, it seems, been on a lifelong journey to "get skinny," and though I gave up diets years ago, I still struggle with fear-based overeating. In my heart I always knew that my extra pounds around my mid-section were due to a spiritual dis-ease, rather than anything I was or wasn't doing in the physical world (I am a very active dancer and teacher who carries about 20 lbs. of extra fluff around the middle). 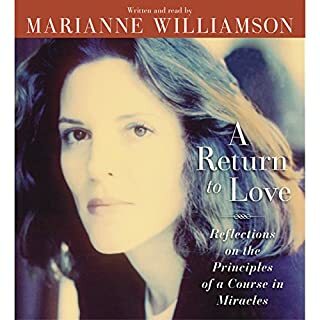 I have found much comfort and catharsis in Ms. Williamson's prayers and journaling lessons. She is helping me face the fear of other people and of life that underlies my use of food as a pacifier. 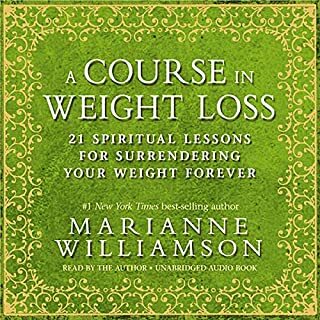 In my opinion, one does not have to be Christian to enjoy this program; however, one does have to be open to the concept of surrender to Spirit, much as in a 12-step program, which is what I am finding particularly inspiring and so different from other weight-loss efforts I've made. 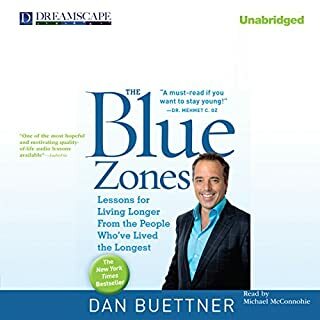 Overall, this audiobook has very much inspired and comforted me in my ever-deepening spiritual quest to live free from fear and in Love.